Tales of legendary, expensive wines fascinate wine lovers from all walks of life. Although most of us will never buy a $1,000 bottle of wine, let alone pay tens of thousands of dollars for a historic, collectible wine, we still find the world's most expensive wines intriguing and captivating. For example, Thomas Jefferson's initialed bottle of 1787 Château Lafitte (now spelled Lafite), which fetched approximately nearly $160,000 at Christie's 1985 auction, is arguably the world's most famous single bottle of wine, not only because it came from one of France's oldest, best-known vineyards but also because it was once owned by Jefferson, who was both the third president of the United States and the fledgling country's first true wine connoisseur. 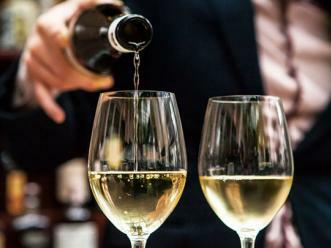 Two other famously expensive bottles of wine from the 18th century, a 1787 Château d'Yquem sauternes and a Russian Massandra sherry from 1775, were purchased by collectors in the last few years. 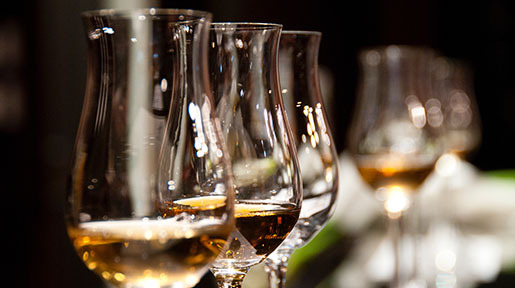 The sauternes, which sold for $100,000 in 2006, is often dubbed "the world's most expensive white wine." The Massandra sherry, last sold for $43,500 in 2001, was once part of the tsars' wine collection. Perhaps the most expensive wine that can't be – or at least normally isn't – counted as the world's most expensive wine is the six-liter bottle of 1992 Screaming Eagle cabernet sold at the Napa Valley Wine Auction in 2000. Chase Bailey purchased the wine for $500,000. Because the wine auction is a charity event, Bailey's headline-making purchase is usually left off of the official lists of the world's most expensive wines. Romanée-Conti Domaine de la Romanée-Conti Grand Cru regularly appears on lists of the world's most expensive wines. In 1996, six methuselahs (six-liter bottles) of the Romanée-Conti Domaine de la Romanée-Conti 1990 Grand Cru sold for a total of $224,900, which equates to $37,483 per bottle. The Heidsieck & Co. 1907 Champagne is an expensive wine with an unusual story. In 1916, a Swedish ship carrying a consignment of Heidsieck & Co. 1907 for the Tsar of Russia was torpedoed by a German submarine. The ship sank and the bubbly cargo vanished from sight. In 1997, a team of divers found the wreck and brought the Champagne to the surface. The bottles were sold at auction, but a few are now available for purchase from the Ritz-Carlton Hotel in Moscow. The price? Approximately $35,000 per bottle. Expensive wines once again made headlines in the fall of 2010, when three bottles of 1869 Château Lafite-Rothschild were snapped up at auction in Hong Kong, along with cases of other Lafite vintages. The 1869 bottles sold for an astonishing $232,692 each, indicating that Chinese demand for Bordeaux wines may drive prices higher in future years. Of course, the remnants of Thomas Jefferson's wine collection are unavailable even to most serious wine collectors, and there are only so many bottles of "shipwreck Champagne" on the market. Which world-class expensive wines are actually for sale? Wine shops and auction houses do have some of the world's most expensive wines available for you to buy or bid on. For example, collectors with $7,000 or more to spend on a bottle of wine can find several vintages of Romanée-Conti Domaine de la Romanée-Conti Grand Cru for sale. If you prefer cutting-edge Bordeaux wines, take a look at the world-renowned wine from the first of the garagistes, or micro-cuvée winemakers. Pomerol's Château Le Pin introduced the "garage wine" concept to the world. With production limited to just a few hundred bottles per year, Château Le Pin naturally commands high prices. Expect to pay close to $2,000 or more for a single bottle; some vintages go for $4,000 to $5,000 per bottle. Napa Valley's Screaming Eagle is one of the most famous cabernet sauvignon wines in the world. This wine is only available to customers on the mailing list, and, as of this writing, there is no way to add your name to this prestigious roster. If you happen to be on the list, you'll pay just $750 for a bottle of Screaming Eagle, but prices on the secondary market are much higher – in many cases more than double the original price. 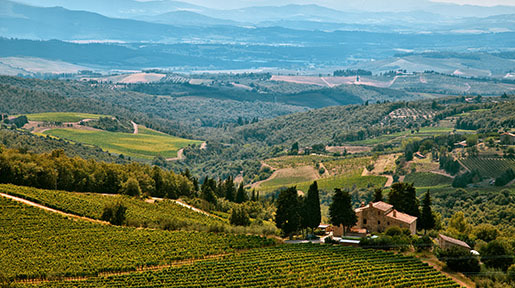 Some of Italy's Super Tuscans also command extremely high prices. Older vintages of Tenuta San Guido's Sassicaia, the first Bordeaux-style wine to be produced in Tuscany, sell for $1,000 to over $3,500 per bottle. White wine lovers might want to take a look at Château d'Yquem's sauternes. President Thomas Jefferson was a great admirer of Château d'Yquem's wines. Amazingly, you can still buy vintages that are over 100 years old, provided you have deep pockets. Most 19th-century vintages cost between $18,000 and $22,000 per bottle. Prices for 20th-century vintages vary widely. Whether you're a determined wine collector or simply a collector of wine trivia, learning about the world's most expensive wines can be great fun. The stories behind the wines continue to fascinate us all.